And if you are living in the Philippines, I suppose you can also open an online account on Philippine National Bank using the debit or credit card. Wherever you are, as long as there’s an Internet connection, you’ll be able to follow the steps. But I’m warning you that the PNB’s website particularly the links on this post might not work the first time. It took me three attempts and cups of hot chocolates 🙂 to open an online account. Other than technical glitch, the process is fast and easy. Go to Personal Internet Banking. Click Register Now > Sign Up > Agree. Choose the Sign Up Option: Sign Up Using an ATM Card. You can also use credit card or SMS PIN (for those who did branch enrollment). Enter Your ATM Card Details > Continue. Create Your User Account > Continue. Enter the One-Time PIN sent to your cellphone. Enter the Online Activation Code sent in the email. 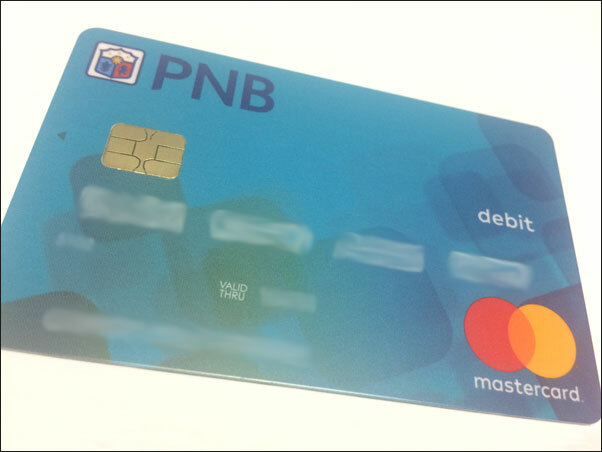 Tip: You cannot change the PIN that comes with the card other than using the PNB ATM in the Philippines. Great. Another task added on my list for my vacation. After I made an online account on Philippine National Bank’s website, I explored what are the features of having a PNB Savings account. I’ll be thrilled to find out how you are using the card and the online account. Did it help in paying the bills, saving for a trip, or investing in UITF? Transfer funds to a PNB account for free (proven). Transfer funds from other account (like COL Financial) to PNB. Pay bills (so many companies on the list). Send money to your PNB account through Remitly (online only) or remittance centers. I’ll keep you posted. Make sure to share how you are using the PNB online account. Out of curiosity, what side of the world are you signing up for a PNB online account. Any issues? Hello po, I’m from Ontario, Canada planning to open PNB account. Possible po ba sya mag deposit ng money from Philippines then i-withdraw ang money here in Canada? Thanks! That’s a good question Sarah but I haven’t tried it. My plan is to use the card in the Philippines. By snooping around the Internet, I found out that you can use the debit card on International ATM Networks (Mastercard and Maestro). Have a look at the available ATMs in your area before you decide to get a PNB Debit Card. Let me know how it goes. Anna I also had a hard time signing up online. Maybe you should try a different browser like Chrome or maybe there’s a technical glitch on PNB’s website. Try signing up again at a later day. Try different browsers Caithe. If that didn’t work better ask PNB on Facebook or the PNB representative in your area. I prefer to use social media to get a quick response. Nasa Japan po kasi kami at wala kaming account sa PNB kahit sa Pinas makakagawa po ba kmi dito sa Japan? Tnx po. Only if there’s a PNB office or representative in Japan; otherwise, you can open a PNB account once you have a vacation in the Philippines. Yes pwede po mag open ng PNB sa Japan. My PNB TOKYO po. Can I make an online transfer from my Bank of America account to Philippine National Bank account using the routing number? Probably it’s possible. Here in Canada, we can send money to a local bank account in the Philippines from a chequing account. Hope you can give us an update Rafael. I’m here in Taiwan my PNB ATM savings account need for renewal. Is there renewal through online? I don’t think that’s possible Jenny. Make sure to contact the PNB representative in Taiwan at least two months before the expiration of the card since it takes time to get the new card.